Take one felt flower kit and stack the flower shapes in a pleasing way. Remove the back large flower and place to one side (you'll be sewing the brooch bar on this one). Using a pencil - lightly draw a circle in the middle of the top most small flower shape. Using sharp scissors cut out the circle by piercing the middle of the circle and cutting around it- do not cut the edge of the flower. Place this flower with the hole, on top of the flower stack - make sure any pencil lines are hidden (turn the flower with the hole over if you have to). 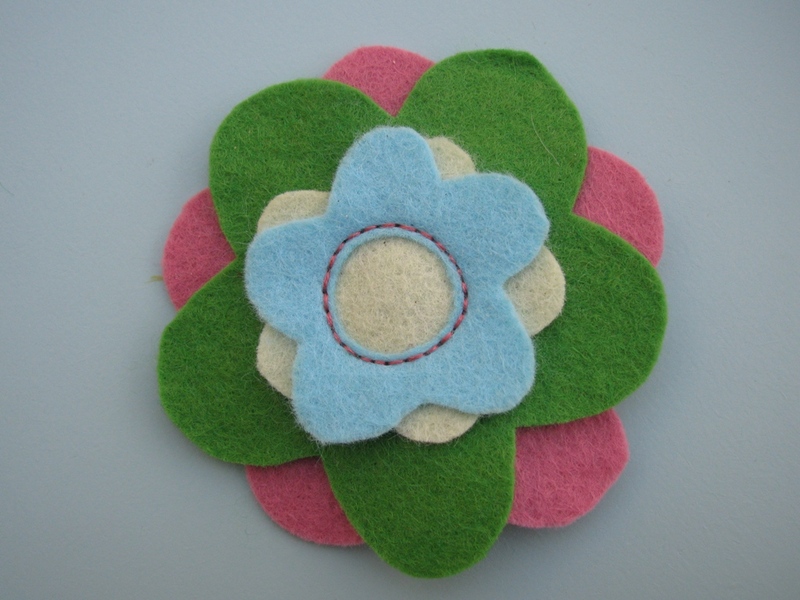 Using two strands of embroidery thread, back stitch around the edge of the circle - thus stitching together the 2 small flowers and the large flower. 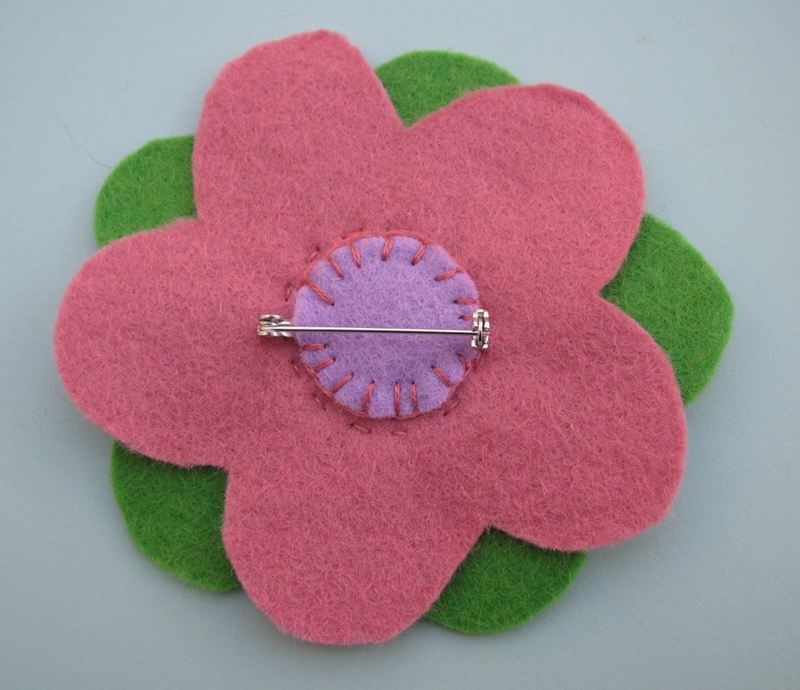 Attach the brooch bar to the remaining large flower and hide the stitching with a circle (we've used blanket stitch). If you'd like to make your own felt flower you can buy our kits during the Pittenweem Arts Festival (Saturday 6th - 14th August) at Ovenstone Artist Studios. We're having two classes during the Arts Festival inspired by our kit. The classes are on Tuesday 9th August and Thursday 11th August, each class is from 10am-12pm and tickets cost £8. It'll be a great opportunity to start a little sewing and learn some embroidery stitches or try something different. We'll tailor the class to the attendees abilities (although we do recommend ages 8+). You can book a place (limited to 6 for each class!) by calling the Arts Festival booking office 01333 313 903. 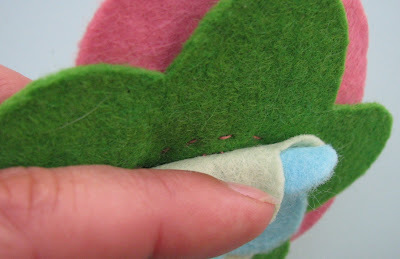 Check out some more felt flower ideas and tutorials here.